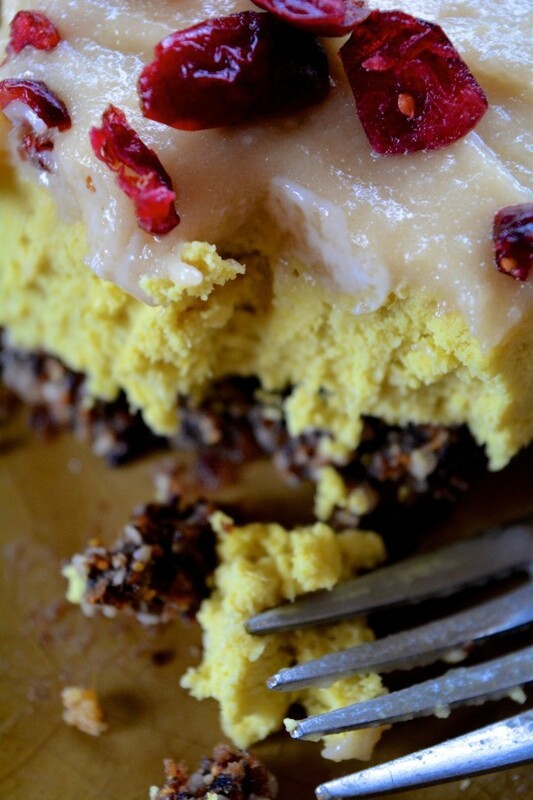 Vegan Edibles: Raw Citrus Canna Cake (Paleo Friendly). This raw, paleo, refined sugar free, gluten free, cannabis infused citrus cake is one of the best cakes you’ll ever eat. It’s simple and fairly quick to put together, but it tastes so fancy and expensive that you’ll feel like putting on elbow length gloves, stuffing a joint into a cigarette holder, and stepping into a Breakfast at Tiffany’s montage. This three parter requires a food processor and some fridge/freezer space, but it’s really easy to put together. Feel free to make it canna-free for a healthy desert option the whole family can enjoy! 2. Press into a 7″ or 9” cake pan (springform if possible) and refrigerate for 30 minutes. 2. Pour over crust and refrigerate overnight or freeze for 4 hrs. This recipe contains 12- 1 tsp servings of canna oil… use less if your oil is stronger. Always test your dosage before using in recipes. Visit our Complete List of Cannabis Infused Recipes.